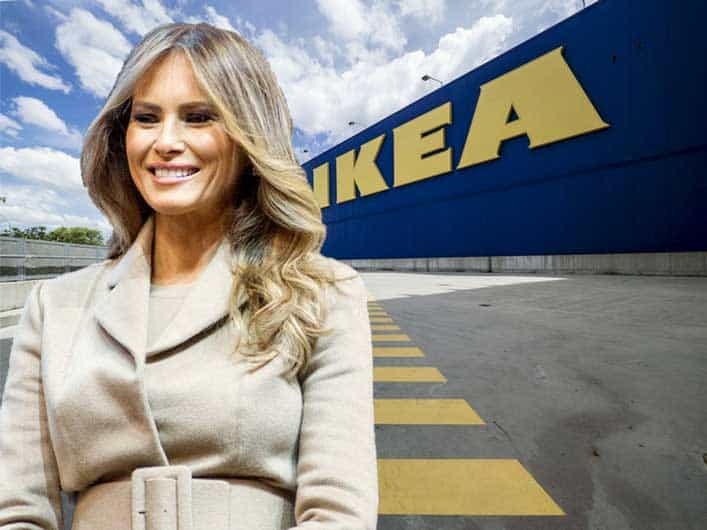 Melania Trump has been located lost in IKEA after being not seen by the public for 25 days. She had “just popped in” to get some candles for their White House residence but then became disorientated and unable to locate the exit. Fortunately, a fellow shopper Dorothy Smith plucked up the courage to approach the First Lady and tell her of the nationwide manhunt. Doctors have confirmed that her diet of Swedish meatballs had had no noticeable effect on her body, but the endless cups of coffee to help her maintain her focus had affected her kidneys.